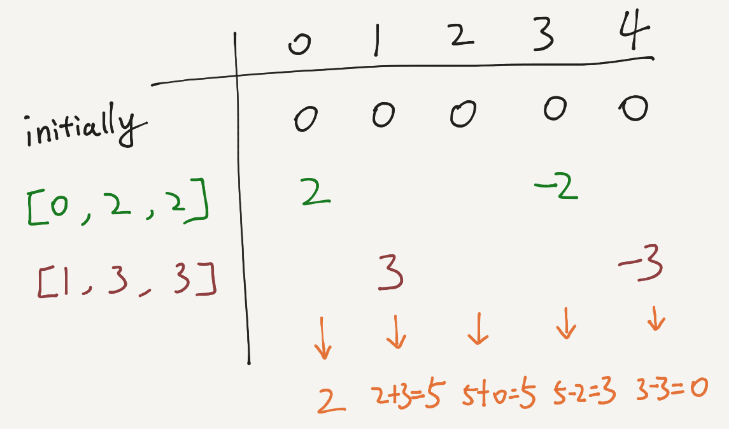 Assume you have an array of length n initialized with all 0's and are given k update operations. Each operation is represented as a triplet: [startIndex, endIndex, inc] which increments each element of subarray A[startIndex ... endIndex] (startIndex and endIndex inclusive) with inc.
Return the modified array after all k operations were executed. why do we need heap here, can someone post the question with example ? The second solution is super, very smart!